Humanity – Hu`man´i`ty (noun) – The quality of being human; the peculiar nature of man, by which he is distinguished from other beings. As a Christian I spend most of my spiritual life focusing on the divine nature of Jesus the Christ; Jesus as the Son of God; Jesus as the Redeemer. However, over the past few days the thematic messages I’ve been reading and hearing have focused not on His divinity but rather on His humanity. I think we Christians tend to gloss over that side of Him and I think that when we do that we do a disservice to us and to Him. After all, isn’t part of the draw of Christianity that our Savior was a human being just like us, experiencing hunger, weariness, pain, joy, sorrow and laughter, and not some god from another realm who can’t relate to what we go through? So I’d like to take a little time to look at the humanity of Jesus. Jesus liked to have a good time. He did. He enjoyed parties, feasts and weddings. He appreciated the opportunities to celebrate being alive. He preferred hanging out with regular people all throughout his recorded journeys. He relished conversations that revealed truths about us and God. He enjoyed meeting people where they were, getting to know them and talking to them about a better way of life; a life living in harmony with God’s intended purpose. He really enjoyed and appreciated the tastes, the smells, the sounds, the sights and the beauty of life. He also knew the darker side of existence as a human being – the pain, the loneliness, the anguish and, I believe, the fears that come with the territory. Jesus knew heartache and grief. He knew the depths of sorrow when we lose a loved one. He sobbed and He wept, along with Mary, Martha and others, over the death of his friend Lazarus. He knew that the path He was on would lead to an agonizing, torturous, painful death and He was, in my opinion, afraid of that. Who wouldn’t be? 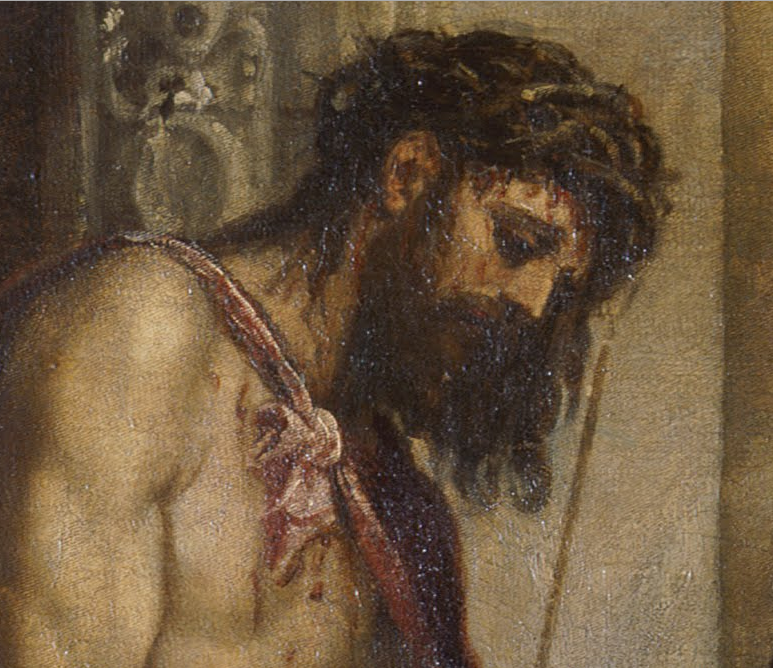 He said in the garden,“Father, if it is possible, let this cup pass from me.” When I read that I hear: “If there is any other way, ANY other way, we can do this let’s do that.” Yet despite His fear and trepidation, He mustered up all his courage and moved forward to Golgotha. He knew what was at stake. He felt separation and loneliness. “My God, my God! 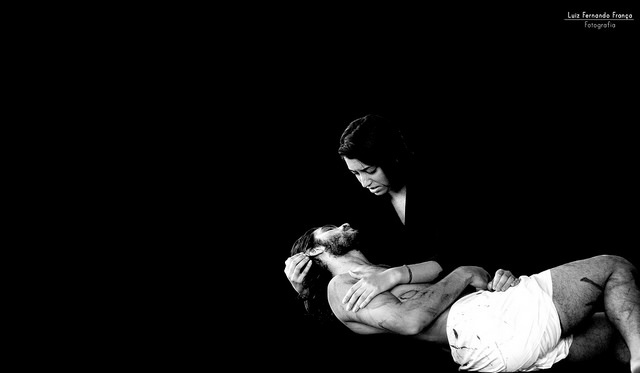 Why have You forsaken me.” For me, this is the ultimate demonstration of Christ’s humanity. Up until this point He had the perfect relationship with God: communion of body, spirit and mind. Up until that moment, dying a slow, agonizing death on the cross, He had experienced all the same emotions, struggles, successes and temptations as you and I – except for one. It was at that moment, I believe, that Christ understood what it was like for us to be separated from God; to feel like God was on the other side of the universe. He understood what it was like to shout “Hello? Is anyone out there?” and to be answered with a deafening silence. At that moment He understood that He was going to have to endure death and cross over … alone. Good Friday is fast approaching and the focus is on the events leading up to and during the crucifixion of Christ. From the Last Supper through the Betrayal through the scourging and beating through the Denial right up to the base of the cross, the focus is on Jesus’ final hours on earth. Even while He is hanging from the cross the focus is on Jesus. And rightly so. Yet, just as He is experiencing the ultimate in human suffering and death there are others in the story and they have their struggles with their humanity. The disciples, his crew, his main guys, cut and ran in the garden after the betrayal. Peter denied even knowing Him when confronted by the slightest sign of trouble. Even John, the one that Jesus loved, was on the outside looking in during His scourging and beating. He is alone – his friends are cowering in fear. Then there is His mother, Mary. She is there, staring in disbelief, in horror, at the spectacle unfolding before her. She is standing at the base of the cross looking up at a man who is beaten so badly that she can barely recognize her son. I cannot begin to wrap my head around what it was like for her to witness the brutal beating and horrific death of her son. I don’t know that she really understood Jesus’ divinity anymore than the disciples did. She witnessed the miracles He performed and heard His teachings but I can imagine her thinking “This is not how I thought this was going to go. There must be some mistake. Any moment now his legions will rescue him. How can this be happening? Was what I was told nothing but fiction and lies?” To Mary, this was her boy. This was her sweet, innocent boy. How many times did she bandage a scraped knee? How many times did she wipe away His tears? How many times did they share supper together? “Look what have they done to my little boy!” Her heartache and anguish is unimaginable and unmeasurable. There is nothing she can do to alleviate His suffering. She is powerless. She cannot stroke His hair and wipe away His tears. She cannot protect Him from death. She cannot hold Him in her arms and rock Him to sleep. She cannot comfort Him. She cannot take His place. She is His mother and the tears just wont stop falling and her heart will never stop aching. She is relegated to holding His broken, lifeless body while she weeps in sorrow and agony. 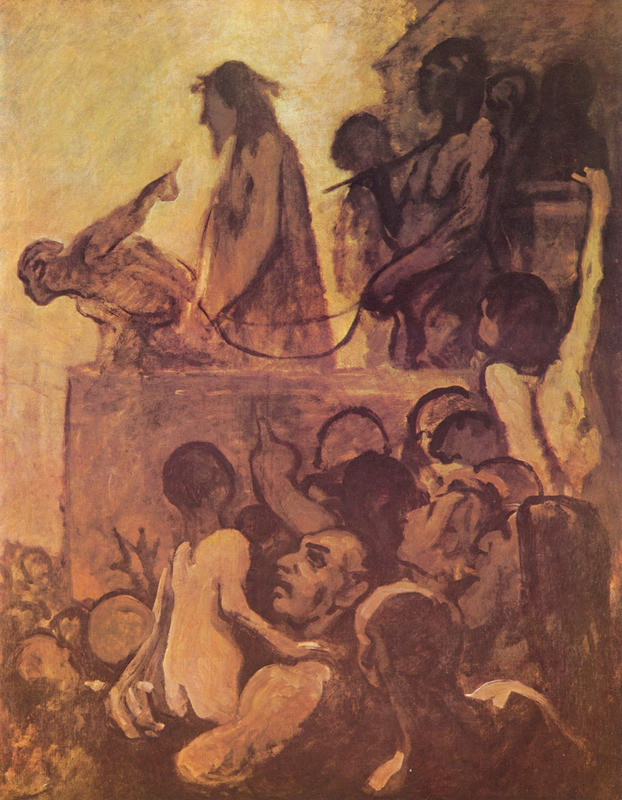 “Ecce homo.” These are the words uttered by Pontius Pilate as he presented a beaten and scourged Jesus to the crowd in the square, just before sending Him off to die by crucifixion.